← Feeling a little morbid, are we? It’s probably the right thing, the duly deferential thing, to observe Labor Day (America’s tempered version of May Day) by reflecting on the successes and legacies of the U.S. labor movement. The forty-hour workweek, job-safety regulations, even this very holiday itself were all created by, for, and likely wouldn’t have been conceived without a thriving American labor class. But it’s hard to resist, in the course of these Labor Day reveries, not reflecting also on the contemporary state—the current muscle—of American labor. It has atrophied, it is on the wane, and it is on the run. Even as wages stagnate and union rolls shrink, an ascendant conservative polity, hostile as ever to organized labor, wages a multi-front campaign against the movement. State by state, unions’ reach and scope are being legislatively eroded, while in the marketplace of ideas, the right-wing canon preaches an anti-labor gospel that has been frighteningly effective in shaping the opinion of socially conservative, low-wage workers—ones with arguably the most to gain from a strong, vibrant labor movement. It’s a chronic condition, even if it’s feeling particularly acute. Labor’s back has been up against the wall for well more than a generation now. And since it’s clear that the counterpunches thrown thus far have, at the wildly optimistically best, only somewhat slowed the trend, I’d argue it’s time to rethink strategy. Fortunately, conditions have aligned themselves in support of just such a shift. We’re seeing a completely organic grassroots resistance movement, independent of party politics, spring up in resistance to the hostile, unstable, cryptofascistic national leadership, and the cronies and hangers-on that support it. This movement is vibrant, growing, effective, and as yet hasn’t been co-opted by any of the usual political suspects, who could be counted on to turn it into just another exploitable constituency. Here’s hoping it stays that way. Labor very much has a role to play in this phenomenon—probably multiple roles, in fact. And while it can be, should be, incumbent upon every union, local, and individual worker to formulate for themselves how they can best dovetail with the resistance already underway, I humbly put forth my suggestion for a strong, nation-wide Blue-Green coalition. 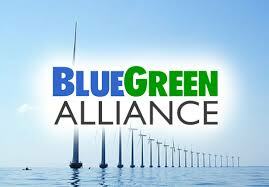 The concept is deceptively simple: a synergistic alliance of organized labor and environmental activists. 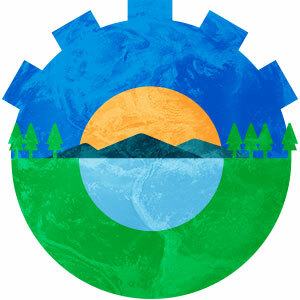 Common ground between them is more evident than ever before—high-paying green-tech industry jobs now outnumber those in the fossil-fuel extraction sector, while a focus on fair trade is understood to be protective of both jobs and the environment. But there are, of course, areas of disagreement. Most recently, unions and environmental groups clashed over projects like the Keystone Pipeline—that very disagreement led to the breakup of at least one blue-green coalition. As more such projects move forward, this friction is sure to increase. The answer is to view the alliance with the tactical urgency it deserves. Alliances under fire are never perfect, but the immediacy of their struggle necessitates working around, even temporarily tabling areas of non-alignment. And make no mistake—this is precisely that urgent. Climate change is a looming existential threat. American leadership, even engagement on the issue has been abrogated. The vacuum after Paris has left not just an opportunity for groups like organized labor and environmental advocates to seize relevancy, but an absolute obligation for them to do so. Our labor movement has, at its core, always been about preserving and protecting the future of the voiceless multitude. It pools its strength and its industrial clout not to seize the means of production, as Marx proclaims and conservatives believe, but to turn those means into a more fair pillar of modern society. That clout might have been diminished but it’s never disappeared. And the time is right, right now, to apply it to a cause that doesn’t just serve labor, but potentially saves us all. Happy Labor Day. This entry was posted in Homepage and tagged Blue Green Alliance, blue green coalition, climate change, Labor Day, labor movement, Trump. Bookmark the permalink.